A Keystroke Recorder, or keylogger, is a software tool that captures and records what a user on your computer types - typically without the user knowing. With keystroke recording abilities, our software can log emails sent, passwords entered, websites visited, private chat conversations, file inputs, and much more! All keystrokes logged are logged to a secret file for later review. Our spy software tools, such as Keystroke Spy, SpyAgent, and Realtime-Spy, can operate in total stealth so that you will not have to worry about users discovering you are monitoring them - and even if you inform them they will still not be able to tell how. Our Keystroke Recorders are popular tools of choice among parents, employers, spouses, security professionals, and network administrators because they leave no doubt in their minds as to what their computer users are doing and how their computers are being used. Keystroke Spy is a cost-effective monitoring solution that allows you to easily, and efficiently log what your PC and Mac users are doing. Keystroke Spy is a powerful tool that can log every keystroke users type and capture screenshots of all activities . 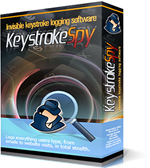 Keystroke Spy can run in total stealth, email you when specific keywords are typed, deliver activity logs via email, link screenshots with keystroke logs, and can even be set to only log keystrokes typed in specific applications and windows. The number one solution for computer monitoring and surveillance needs. SpyAgent logs all keystrokes, applications, windows, websites, internet connections, emails sent and received, chat conversations, file usage, and even screenshots. SpyAgent can send activity reports to you via email, and it also can filter websites and applications from being viewed on your PC! 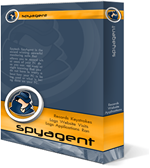 SpyAgent can run in total stealth and has a the most robust feature- set available on the market - all accessible from an easy to use interface. Realtime-Spy is the latest in cutting-edge computer monitoring technology that allows you to monitor YOUR PC, MAC, or ANDROID from ANYWHERE. 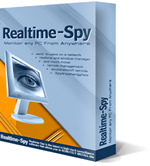 Realtime-Spy for PC and MAC is remotely deployable (no physical installation needed), and its activity logs are accessible from anywhere - regardless if the remote computer is online or not. Once installed, Realtime-Spy monitors the remote PC, MAC, or ANDROID device in total stealth, and cloaks itself to avoid being detected. Monitors keystrokes, website visits, windows viewed, and more! "Love your product. Wanted you to know that I tried 6 different software packages for my home PC and yours is absolutely the best. I have already recommended it to 3 other people who were looking for such a product. The interface is amazingly easy and intuitive, the data which is captured far exceeded my expectations and is extremely easy to retrieve." © Spytech Software and Design, Inc.